Are you sure it was 470º and not 460º? Mine does that too, as soon as the app shows it go below 32º, it reads 460º. I'm betting the app developer messed up the equation to calculate from Rankine (or maybe even Kelvin) to Fahrenheit. There's a "459.67º" in that equation... Probably an absolute value or order of operations error in their conversion equation (though I would expect the error at 0º and not 32º, making me think the RTD or thermocouple is measuring in Kelvin, but I digress). Thank you for that explanation! Some of the folks here clearly do not understand how the battery ratings are made. Was really grating on my engineer brain. "Ah" (Amp-hours) is a really dumb way to rate batteries in my opinion, it should be "Wh" (Watt-Hours) to be more accurate and take the operating voltage into account. Also, battery "nominal" voltage is a bit stupid to me as well. Our "18v" Ridgid tools are not really 18v. Since an individual Li-Ion cell voltage typically varies from 3.6 volts when empty, to 4.2 volts at full charge, our tools are likely 5-cell (series) tools, and actually only at 18v when DEAD! At full charge, they're more like 21 volts! The 3Ah Octane battery would then be a 5-cell pack with the 5 cells wired in series, and the individual cells rated at 3,000 mAh (3Ah). The Octane 9Ah pack would then be a 15-cell pack, with 3 parallel-wired groups of 5 cells wired in series. Basically think of the 9Ah pack like 3 of the 3Ah packs hooked up to the drill all at once! I somewhat disagree. Those bars are well behind the cutting edge and have little drag on a clean auger cutting the ice. If the auger was threading through the ice instead of shaving it off, then maybe it would be an issue. But since the ice breaks apart when the edge hits it, those bars add little additional resistance. Maybe a tiny bit, but not so much to be noticeable in my opinion. They do provide additional support to the fighting that holds the blades in place, and keeping the geometry correct is pretty important! I not talking as the cut comes off the blades.. I talking as your spinning the auger those vee bars pack the shaving that stack up in the whole and are not kicked out but the flighting fast enough .. which causes more and more bogging down of the auger. TILL auger just stops.. I absolutely love my gearbox, as does my drills running it.. Even the octane doesn't want that much work to do..
if I had to use 8" holes I would probably buy or make a gear reduction deal like that. with the 6" the drill is more than enough for me. im waiting on the drill powered snowdog. How long does LSA take to receive after registering? batteries sold on ebay have zero warranty from ridgid. private sellers are not authorized retailers. if the seller told you differently, you should request your money back asap and maybe start a paypal dispute to hurry up the process. i called ridgid about this for someone asking in a pm. have to be careful with knock offs too. When I got mine, only batteries bought with a tool were eligible for the lifetime warranty, and you had to register them, which took some doing as I recall. I registered my first Ridgid 3/8 drill and batteries, and have had both the Nicad batteries and the drill replaced under warranty. I got them in the '90's, so when the batteries died, they gave me new lithium batteries and a new charger to replace them. 10 day less or more depending on amount of back log they got.. If this does not work I think I will be making a exchange for a Milwaukee M18 fuel. I just hate it when a girl has a better shop then mine. What makes it worst is that she is craftier than I am also. Well, my drill seems to have recovered from my trip the other night. A couple observations. If I spin up the drill with the KDrill attached at a certain point the brakes activate (sounds terrible) it doesnt do this with a 1/2 drill bit in it. Also I'm noticing some in/out play in the chuck. ive noticed that chuck play in mine too.back and fourth play started the second day i used it.now up and down play also.i thought it was my clam plate slop.lol.these drills are not made for augers.i already knew that but im running my octane until its done for.have you checked the fastener that holds the chuck on?it could be coming loose.looks like it wobbles some too. I think the LSA warranty should cover that shouldn't it? My Octane has been great for me all year. In approx. 150 holes it has cut out a couple of times.... I blip the trigger and away we go. In fact the last time out it didn't do it once. I haven't charged it once this year yet, and it still has 3 bars on the battery. My drill is a 6" laser with new blades, and I use the kovac adapter. Also no hang up at the bottom of the hole. It hasn't seemed to matter if i start the auger spinning before contacting the ice, or starting it once it's on the ice. For me the drill has been a great addition to the line-up. weedeater shaft mite work for an outboard/drill rig? if that cable will stand the torque. probably not though? whenever a thread comes up like this, it makes me think of this guy. same thing goes for the tool(s) also. if they quit supporting it they will replace it with a current version of it for free. A 1/2" drill bit has almost no rotational inertia when compared to an ice auger, and I think it's confusing the "smart" electronics in the drill, causing the brake to activate when there's even slight negative acceleration while the auger bit is spinning freely at a nearly steady state/speed. In and out play on these types of hammer drill chucks is normal. That's how the hammer part engages when in that setting. Try this - without anything chucked into the drill, put the drill in hammer mode, set it on speed 1, and pull the trigger. No "hammer" sound. Now, carefully push in on the chuck with your hand, and you'll hear/feel the vibration from the "hammer". The harder you push on it, the more the hammer effect happens. That's because the "hammer" in this class hammer drill isn't really a hammer at all, it's the drive train riding on a grooved/ridged ring, bouncing along the way. Sort of like a washboarded road. The weight of the drill and the user pushing on it is what is providing the hammer force on these drills. Also, a small amount of rotational backlash is normal as well. It's gear slop in the transmission. Yeah I figured the extra load of the auger was causing the brake to engage even when spinning forward, just took me by surprise the first time. As long as the drill has the LSA, maybe I just run it until she dies. i just want something that is reliable out on the ice though. That is actually more important to me than being able to replace it over and over. i just want something that is reliable out on the ice though. That is actually more important to me than being able to replace it over and over. Exactly right Dtro!! The argument for that drill is the LSA, having a reliable product that actually works consistently is way more important. If you have to keep replacing it alot of good that does you. All the drill/auger combo's have their pro's/cons, but as many have said most drills are simply not made for running an auger. I would suspect that over time this will change. I think the quality control might be better next round. Might even consider people using them for Ice Augers. But It is hard to make a cordless drill work as well as a Gas motor. My last Eskimo was working fine after I had it 9 years. Now I bought another Eskimo gas auger which I hope last as long. 5 Year warranty on it so that is a big plus as well as the $284 I paid for it. I can't argue with how the ridgid works WHEN it works Matt, it's just is the start, stop, start again that is a bit of nuisance. When it engages and stays engaged, it pulls you right down through the ice, 2'+. I too don't want to be sending these things back every other day, I just want it to work. I really only bought it as a novelty for early ice and walking trips and because I needed a new homeowner drill, I would not have bought it without the lifetime on batteries. I don't see the 10" jiffy going anywhere anytime soon, I hate an 8" hole when it's zero degrees and don't see me making any upgrades to this contraption. One would think that with a drivetrain that supposedly can handle the 1300in/lbs the gearbox produces, it would be sufficiently strong enough. It is early but evidence suggests it may not. The exteneral forces may be too great and the construction inferior. I'm in the fence about returning mine. I knew going in that a drill isnt designed to be an ice auger. I know all drills can have problems but I'm not hearing this many issues with the Milwaukee users. If you don't got the gear box for the clam plate why use a 8 inch laser or 8 inch kdrill?? If your useing the octane and it's shuting off constantly on the kdrill of laser 8 inch that's not rigid fault it's yours for not relizing your over loading the drill . If you want the set up to work with a 8 inch bit get a nils plain and simple.. have not had a cut out with the 8 inch nils and octane combo. .. I have had problem same as you with cUT out on thd smaller dtill the r86116 modEl with 750 inch pounds with the 8 inch nils bit.. when you read the manual the auto shut off is cause from over loads . If you start complaining about this to rigid there going to void your warranty.. cause your over loading the drill.. it's not there fault.. you got to read the booklet that came with the drill.. read and under stand whats going on there.. plain and simple there going to void your warranties.. for over loading the drill with the auger.. it's no one else fault except yours if your drill fails and you tell them your using it attached to a ice auger.. of course there going to void warranty and stick you with bill every time .. why do you think it's called a over load protection in there booklet.. it explain how to reset the drill after this happens and etc.. if you explain you fried your drill after reseting the overload saftey several times.. there going to void your warranty.. so why stick with the auger bit that will void your warranty?? Why not just get a nils and be done with it?? If it's about money thing about it they void your warranty?? it costs you money every time it breaks down!! All caused by the auger bit so wich has less cost fixing drill or buying new bit in long run?? Or trying to get a gear box to run the laser or k drill? ?in the 8 inch ?? 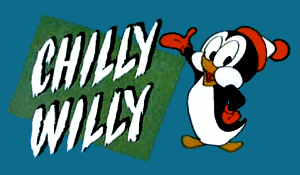 chilly-willy, you need to chill-out a little. None of these guys need to hear that. Using a drill has been around a long time and when the Octane came out with 1300 "# everyone thought they would give it a try. I don't think everyone is having the problem so clearly it is some defective drives/batteries. 3 seasons on my 8 inch K/milwaukee/clam plate (no gear box) combo. Only cut out I've had is a dead battery. Tried Nils, wouldn't cut anymore after half a season. Chipper blades of the K drill have gone 3 seasons without a sharpening. Is nils faster and more efficient? for sure, is it as maintenance free? Not in my opinion. The cut out issues have nothing to do with the auger and everything to do with the drill. I agree. Not going through the entire thread again but it seems like there are only a few people who are having issues (and VTMatt doesn't count...sorry Matt you have terrible luck with everything). I have an octane with a clam plate and an 8" lazer. It screams through the ice and I've only had one cutout when the blades grabbed at the bottom of a hole in weird ice. I cut around 100 holes this weekend in 16-18" of ice and the only issue was that I had ice covering my bibs up to my thighs. Just from observations with my drill versus my neighbors M18 fuel, the octane seems to spin a lot faster in speed 1 and therefore will cut faster, assuming everything else is working. Hopefully the problematic drills are due to something like an overprotective load circuit. I hope that my drill keeps working this well and I can continue to be glad that I saved a pile of money over other options for an 8" drill setup. Definitely not everyone is having problems! It's just that typically, the ones WITH the problems are the most vocal about it, while the happy owners just go merrily along on their way without shouting it out from the rooftops. No doubt a reliable drill is all anyone here wants. I'd probably be tearing my hair out if I was having the cut out issues too. Not quite. Go back when the Milwaukee first came out. There were plenty of issues then too.